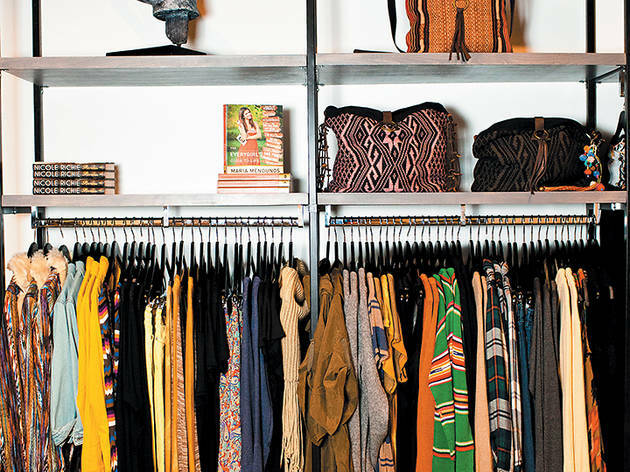 Gold Coast women’s boutique Sofia graduates to more grown-up digs on Walton Street. 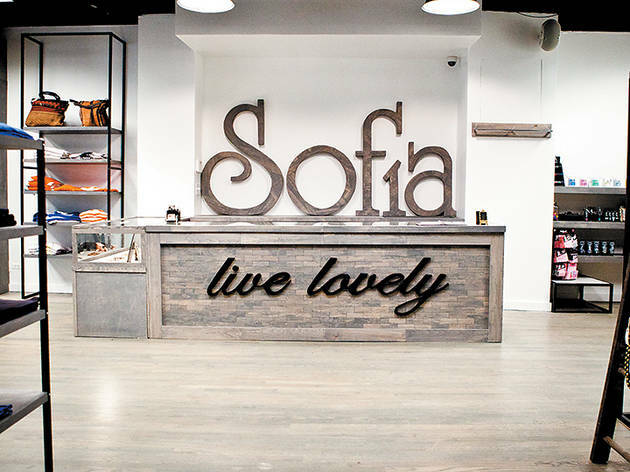 Photograph: Allison WilliamsFun fact about this Sofia sign: It was also made by Floyd A. Davis IV and contains more than 1,000 pieces of wood. Another fun fact: The store owns the font in the logo, called VI University. 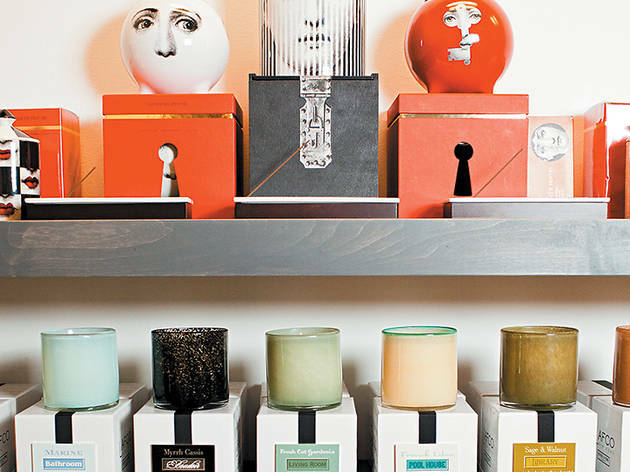 Photograph: Allison WilliamsFloyd A. Davis IV of Artpentry worked with the store to create the slate-colored wooden custom shelves and fixtures. 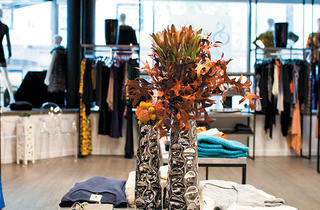 Photograph: Allison WilliamsA view of the new Sofia Boutique at 100 E Walton in Chicago. 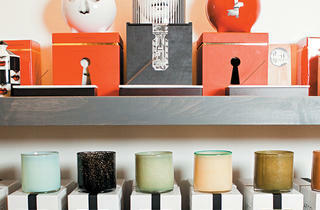 Photograph: Allison WilliamsIts new home section includes scents by Fornasetti and LAFCO candles. A line of Sofia candles will be available soon. 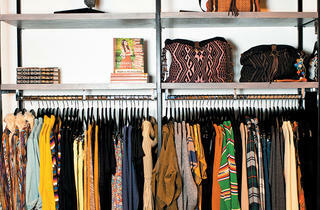 Photograph: Allison WilliamsFor the first time, Sofia is offering designer lines that were also featured on the runway. 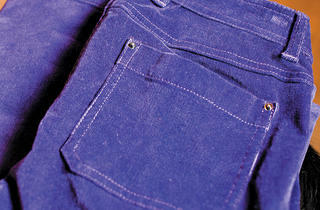 These purple Rachel Zoe pants are $198. The store’s lease was terminated once the neighboring Esquire Theater was sold (Chicago futures trader Donald Wilson Jr. is transforming the theater and a couple of surrounding buildings into a retail area featuring upscale stores and a steakhouse), but it turns out the sudden exit was a blessing in disguise for Sofia. It allowed the store’s team to head to California for the summer and open a pop-up shop that attracted celebrity shoppers such as Rachel Zoe and David Duchovny. That temporary relocation gave the management a break to figure out the next step in Chicago. That next chapter turned out to be finding a new space just one street over that reflects a more mature Sofia. 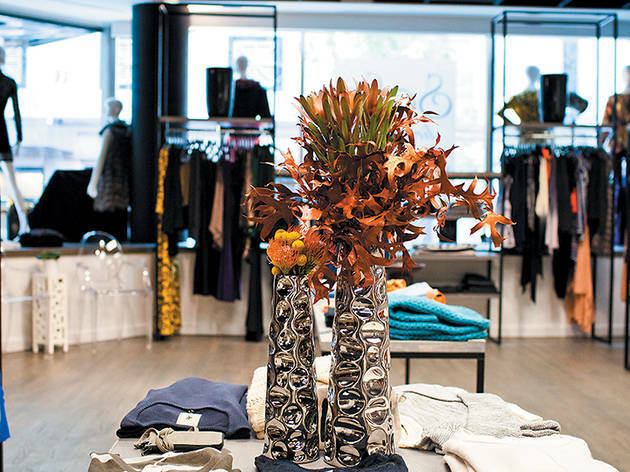 The boutique started in 2009 as an appointment-only vintage showroom near Clark and Division Streets, added new designer duds when it moved to Oak Street a year later and has evolved into more of a lifestyle boutique ( now featuring sportswear line Splits59 and even home goods) in its sleek new outpost. 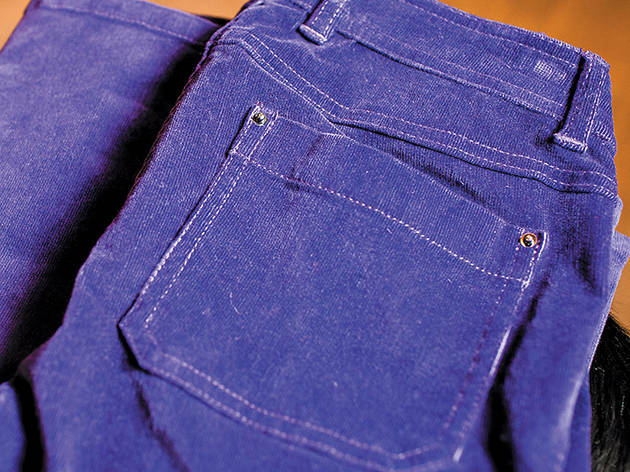 You’ll no longer find vintage here, but an employee mentioned it might host an occasional vintage trunk show. 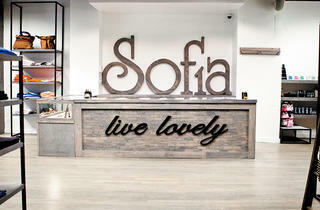 Sofia, 100 E Walton St (312-640-0878, sofialivelovely.com).